Byton unveiled an electric SUV concept at the Consumer Electronics Show in Las Vegas this month. 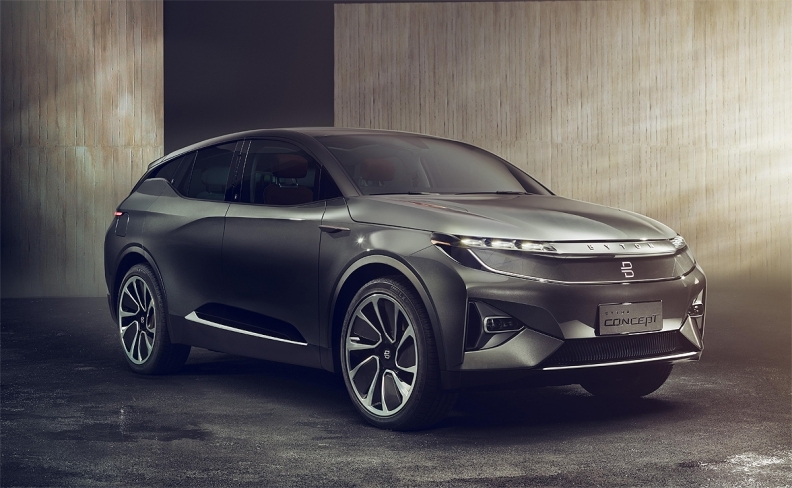 HONG KONG -- Byton, the Chinese electric-car startup founded by former BMW Group executives, is seeking about $400 million in a new round of funding, people with knowledge of the matter said. The Nanjing-based company, which showcased a concept car at the Consumer Electronics Show in Las Vegas this month, has been reaching out to potential investors to gauge their interest, according to the people, who asked not to be identified because the information is private. Byton, formerly known as Future Mobility, this month unveiled an electric SUV that uses facial recognition to unlock doors, Amazon's Alexa to entertain and a 49-inch screen across the dashboard. Its first model will be available for sale next year starting at $45,000, compared with a $35,000 base price for Tesla's Model 3. No final agreements have been reached, and details of the fundraising plan could change, the people said. A representative for Byton declined to comment. Byton received $200 million from a Suning Holdings Group fund and some state-owned firms in Jiangsu province, Chief Operating Officer Daniel Kirchert said in August. China Harmony New Energy Auto Holding is also an investor in Byton. The company's CEO, Carsten Breitfeld, was a leading engineer for BMW's i8 electric car and worked at the automaker for about 20 years. Kirchert was in charge of marketing at BMW's local venture in China and worked at Nissan's Infiniti.